Leading entrepreneurs, innovators, and academics in the region gathered at the Pennovation Center for an enlightening panel discussion. Panelists: Aleksandr Kushleyev, Senior Staff Engineer at QualComm, Mark Yim, Professor and Director of Integrated Product Design Mechanical Engineering and Applied Mechanics (MEAM), Michael Aronson, Co-founder at Red and Blue Ventures, Nonya Collier, Head Concierge at Pad Porter, Dr. Michael Borda, Penn Director of Research initiatives were hosted by Lenserf Group’s Founder and Board Member of Penn Club of Philadelphia and Past President of Penn Engineering Alumni Society; Farnia Fresnel along with Bernard Jones, Lead Systems Engineer at Lockheed Martin and Director of Penn Engineering Alumni Society. The panelists and engaged audience gathered for a relaxed conversation focused on personal and professional experiences in developing or supporting new start-up ventures. Sage advice and cautionary tales were told to an audience in the primary meeting area of the 60,000sq ft. facility. 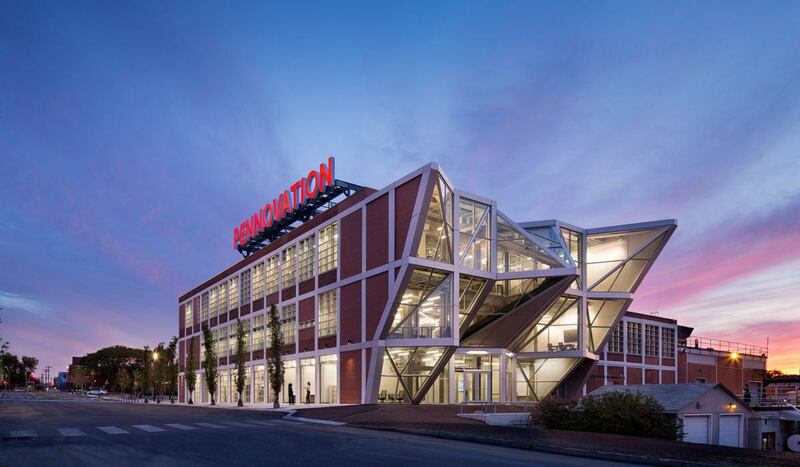 Panelists and participants toured the LEED-Certified building and gained insight in how the facility is propelling startup growth in and around Philadelphia.